A huge thank you to Hackney Archives who came along to our February meeting to talk about their work. They collect, preserve and provide access to records that contribute to our understanding of Hackney’s socio-economic and cultural identity. The archive was started in 1882 by John Tyson, a Hackney land owner who donated his library. The archive was located in the Old Shoreditch Library in 1965 and in 2012 they moved to a specially designed public space in CLR James Library, Dalston Square. The oldest document in the archive was written in Latin and dates back to 1356. They hold over 17,000 images in the form of paintings, drawings and photographs, a small proportion of which can be seen online. 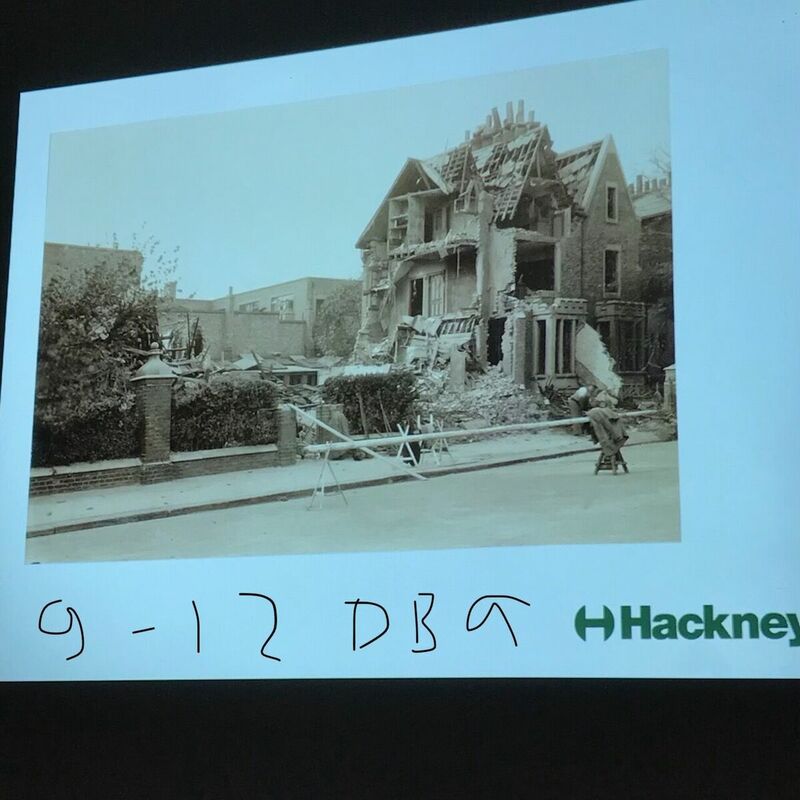 Picture postcards, documenting the changes in De Beauvoir over time, are held here as well as photos of bomb damaged properties (see below) and photos of the streets pre clearance to develop the De Beauvoir Estate can also be seen. They hold a huge collection of maps providing a major source of information on how the area has developed over time . Along with ‘Street Directories’ which were published between 1840-1930 giving list of residents and the drain surveys which began in 1856 – all hold a vast amount of knowledge about the footprint of individual properties. They also welcome volunteers to help them catalogue for various projects. What better way to kick off the New Year than with last nights practical workshop that helped us rebalance our bodies and our energy after the business of the festive season. 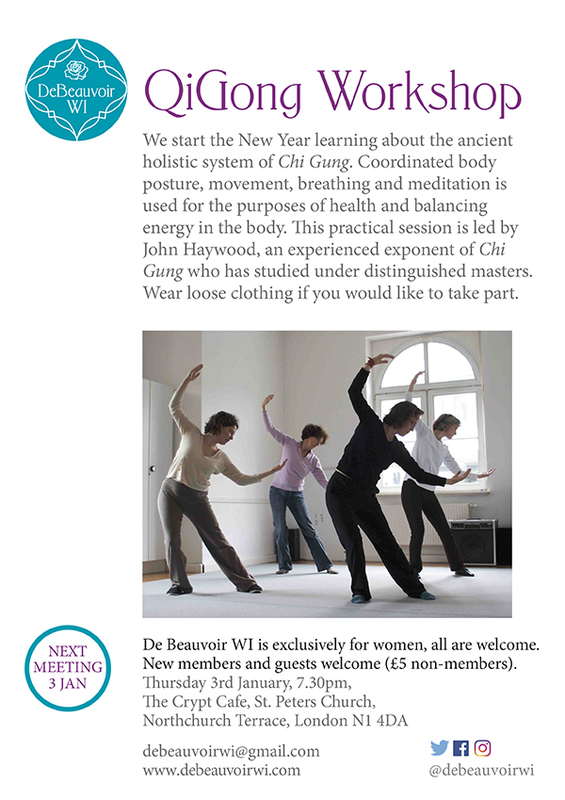 A big thanks to John Haywood who joined us to introduce us to the ancient art of Qigong (Chi Gung), literally translated as ‘Life Energy Cultivation’. Qigong is a holistic system of co-ordinated body posture and movement, breathing and meditation used for the purpose of health. It is traditionally viewed as a practice to cultivate and balance Qi, translated as life energy. There is also research published showing benefits for mental health, with a reduction in cortisol, the hormone produced in the body in response to stress, so a great way to kick off our own self care in the light of the 2019 national resolution on mental health. John runs a weekly class at Castlehaven Community Centre in Camden on a Tuesday at 11am. 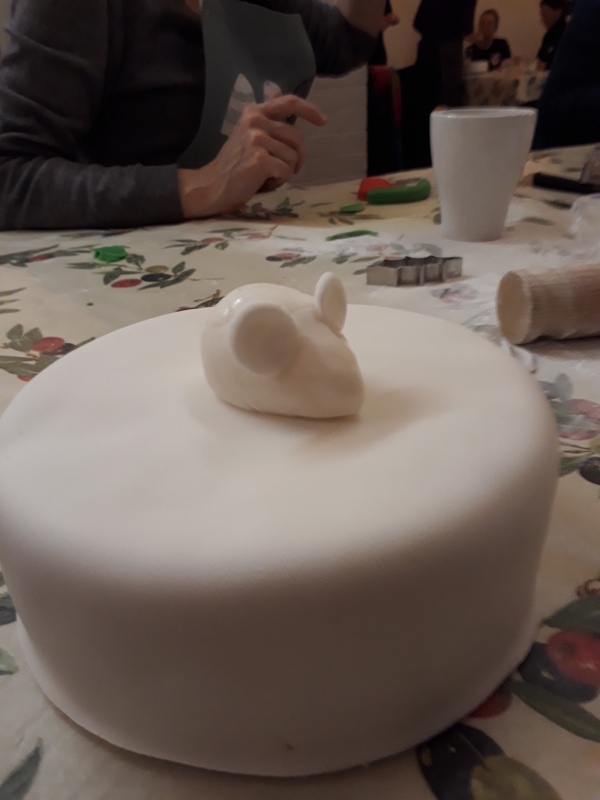 The Night Shelter at St Peter’s will be up and running from the 7th January, we are providing a home made cake every Monday throughout the course of the shelter running – we have had volunteers for January but if you fancy baking a cake in February or March to deliver on a Monday then let us know. 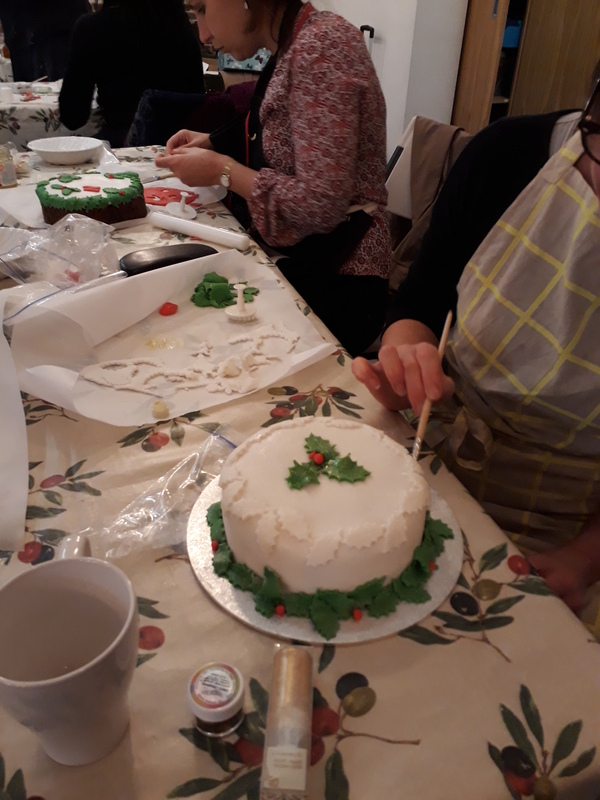 From pretty in pink through the night before Christmas and all manner of festive fondant foliage inbetween, we rolled, crimped and decorated a whole host of Christmas cakes at our December meeting. 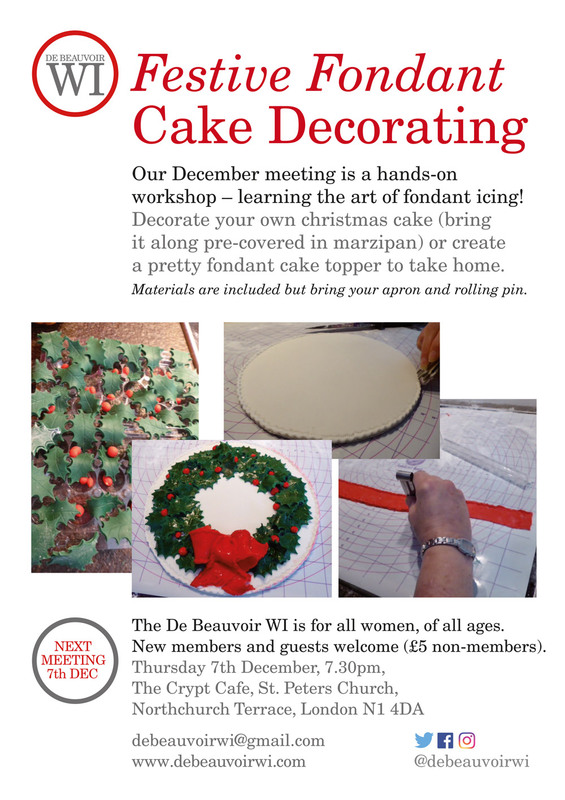 Icing sugar flying while we indulged in a seasonal glass of wine and munched on mince pies, a wonderful array of completely individual cakes exited the building at the end of the night. 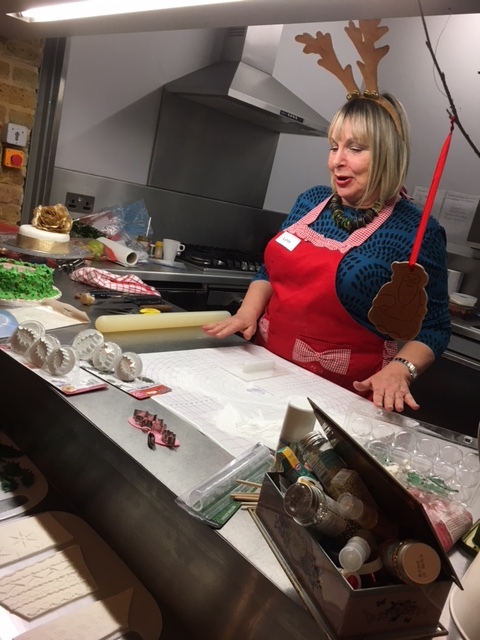 A huge thanks goes to our talented member, Lynn Brooks for guiding us through the art of working with fondant. 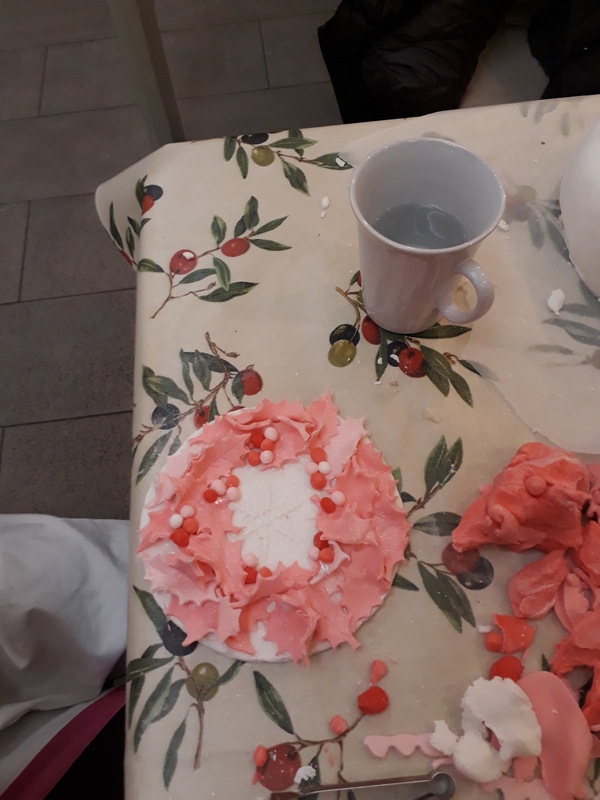 Here are some pictures of just a handful of the creative concoctions that emerged throughout the meeting plus a lovely picture of Lynn showing us the ropes. 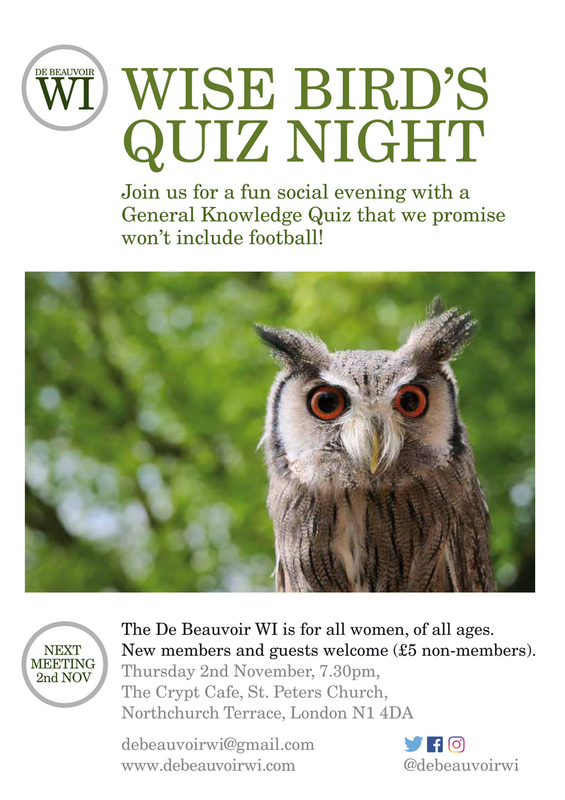 What a great night of general knowledge quizzing at our Wise Bird’s Quiz Night. Congratulations to the winning team the Purple Pansies who shot through in the last round and proved themselves to be the wisest birds in the room. We also put our heads together on the upcoming Plastic Soup resolution and came up with some great ideas for taking the campaign forward into next year. 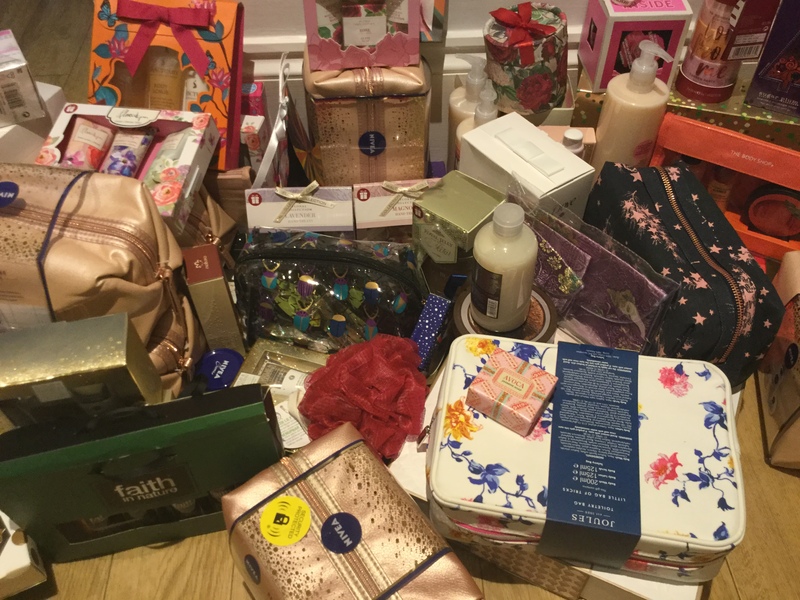 Thanks to all the fabulous bakers who provided a feast of goodies and a huge thanks to Nichola and Victoria for all their hard work putting the quiz together. Who knew tube station emoji’s could be so elusive. 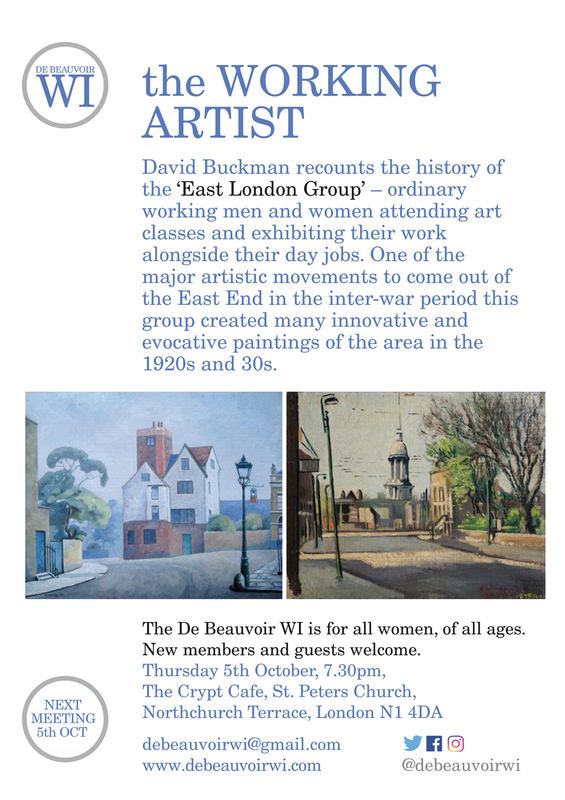 At our October meeting we enjoyed a fascinating talk by David Buckman on the work of the East London Group – a group of artists who developed from an art club at the Bethnal Green Men’s Institute and who achieved critical acclaim in the early half of the 20th century. Their drawings and paintings show buildings, streets and ways of life that no longer exist. At the Nunnery gallery in Bow until 17th December, and at Southampton City Art Gallery until early January 2018. 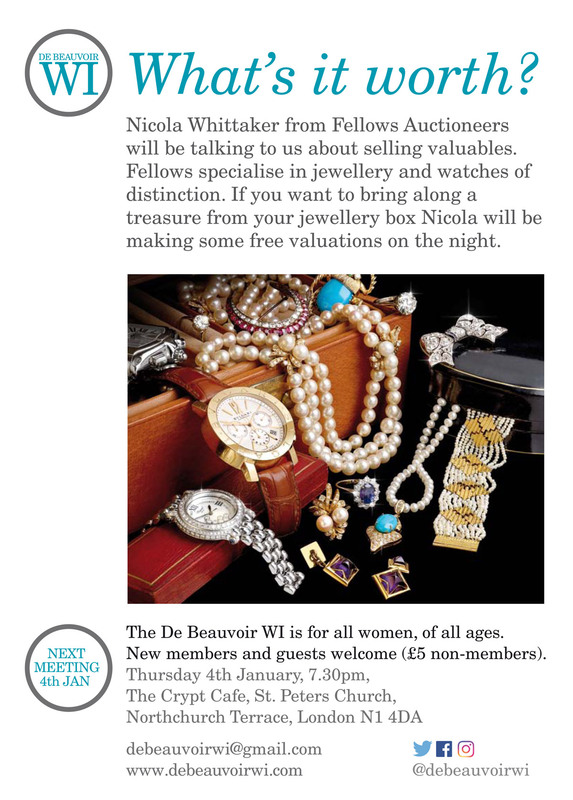 Debauchery in De Beauvoir? 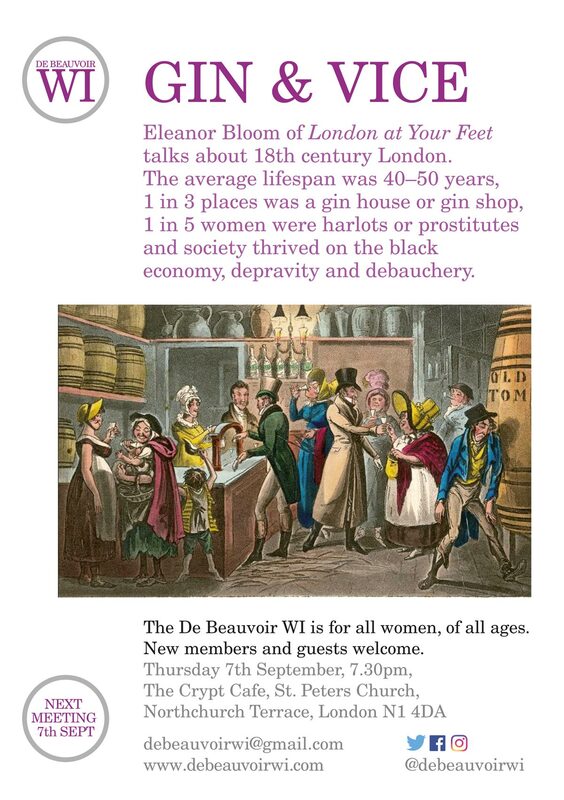 For our September meeting we enjoyed a hugely entertaining and informative talk from Eleanor Bloom about Georgian London and the culture of gin houses and the darker side of the East End. How the madness associated with gin was due to a blight on the grain and why they really wore those stupendous wigs. We also enjoyed some delicious gin cocktails and a lemon and cucumber cake with gin icing.